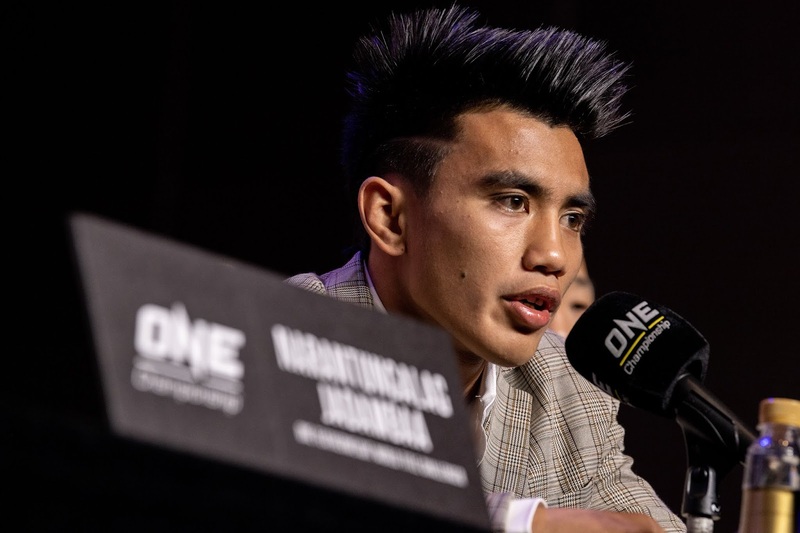 Pacio on pressure to win: "Kaibigan na namin siya"
 Home  Joshua Pacio  MMA  One FC  Pacio on pressure to win: "Kaibigan na namin siya"
PARANAQUE--In just three months, Team Lakay lost all the One Championship titles it had entering 2019. Luckily for Joshua Pacio, he gets a quick shot at reclaiming his when he battles Yosuke Saruta again for the One strawweight title at One: Roots of Honor on Friday at the Mall of Asia Arena in Pasay. But aside from having the hometown crowd with him, Pacio also has the fact that he is the first Lakay fighter to try to get his belt back as a factor that could put pressure on him to win. But for him, he and the entire stable is used to it already. "Hindi na bago ito sa amin. Yung pressure, kaibigan na namin," Pacio said on Tuesday during the pre-fight press conference at the City of Dreams Grand Ballroom. Nasa sa amin na lang kung paano natin mabawi yun. Despite the pressure, he assured that he will enter the cage a better fighter than last January, when he relinquished his belt to Saruta, who according to him made him "caught off guard." "Ngayon, I'm more focused and confident. Hindi na ako maghe-hesitate na ibato kung ano man yung nasa isip ko and I will stick to our game plan," he added.